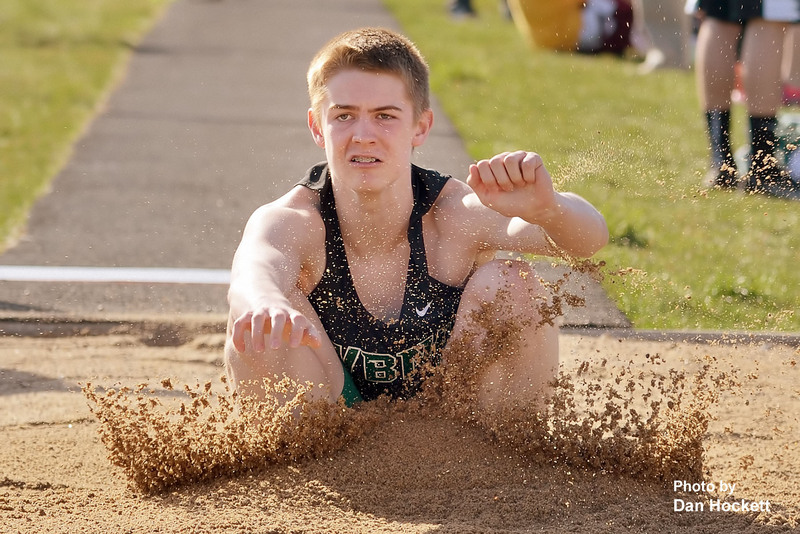 West Burlington – Notre Dame’s Tanner Snodgrass leaps 16’ 11” for 6th place at the Falcon Relays in West Burlington Monday. 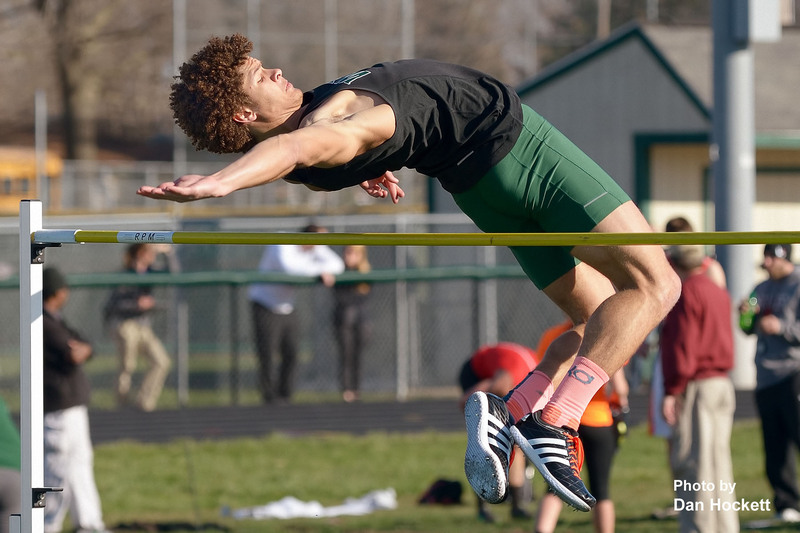 West Burlington – Notre Dame’s Xavior Williams wins the high jump at 6’5” at the Falcon Relays in West Burlington Monday. 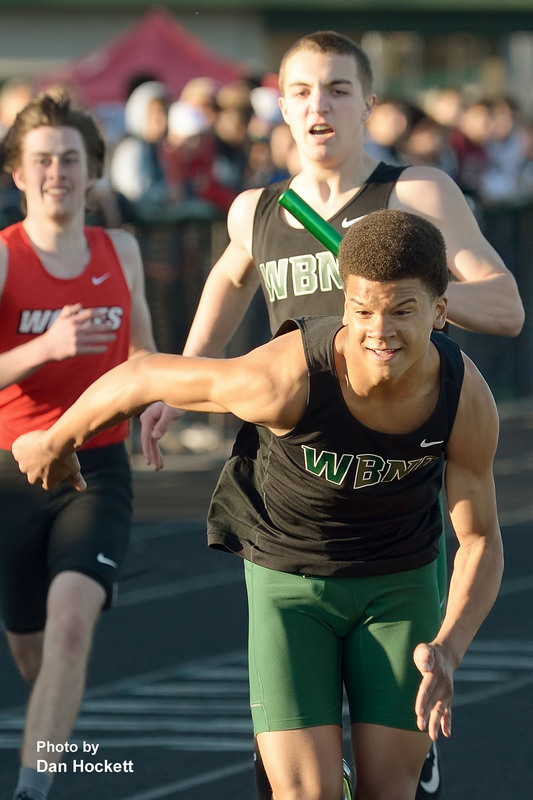 Defending State Champ West Burlington – Notre Dame’s Isaiah Trousil win the 200-meter dash in 22.13 seconds at the Falcon Relays in West Burlington Monday. 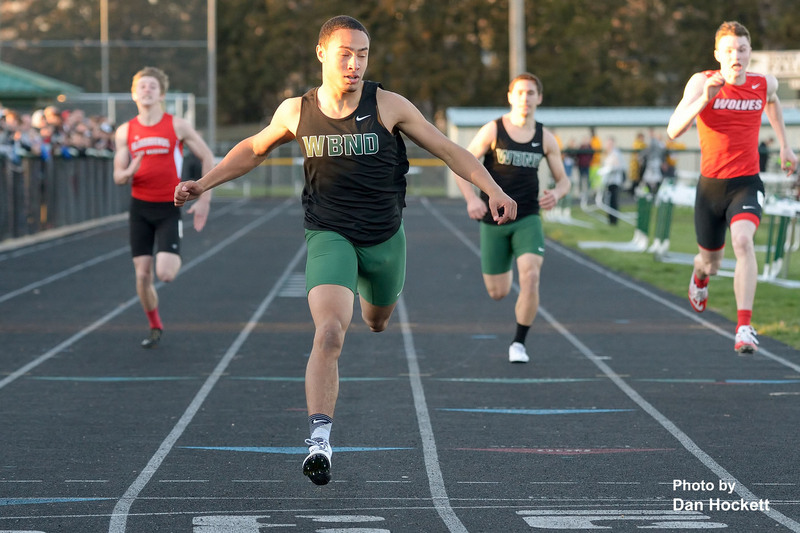 West Burlington – Notre Dame’s Rel Greer is ready to take the baton from Drake Day in the 4×200 relay at the Falcon Relays in West Burlington Monday. 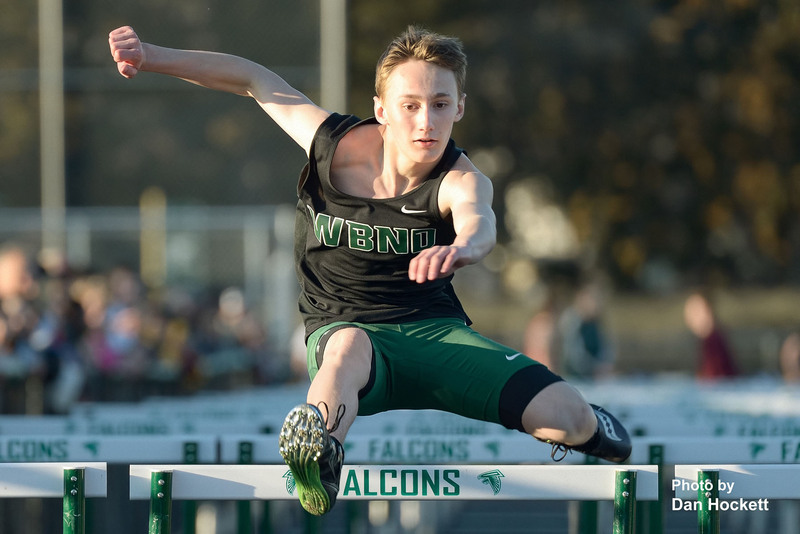 Defending State Champ West Burlington – Notre Dame’s Jacob Smith wins the 110-meter hurdles in 54.35 seconds at the Falcon Relays in West Burlington Monday. 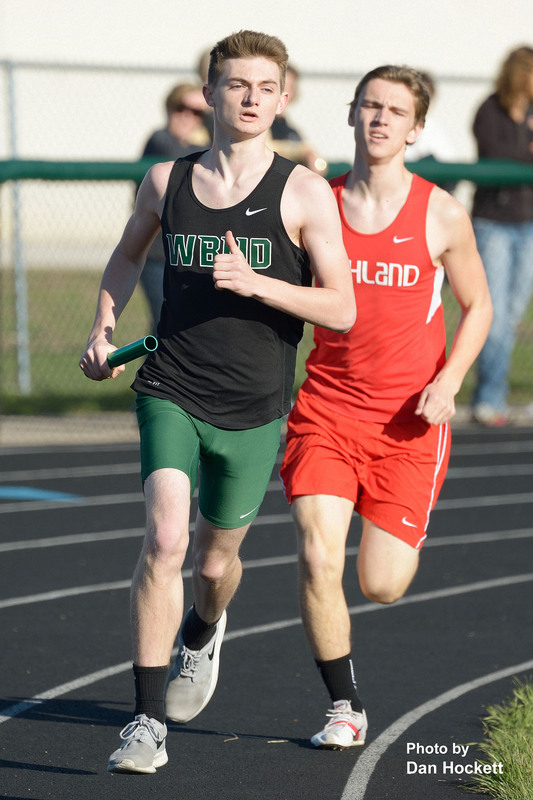 West Burlington – Notre Dame’s Rooks DeRosear runs the second leg of the 4×800-meter relay at the Falcon Relays in West Burlington Monday. West Burlington – Notre Dame’s C.J. 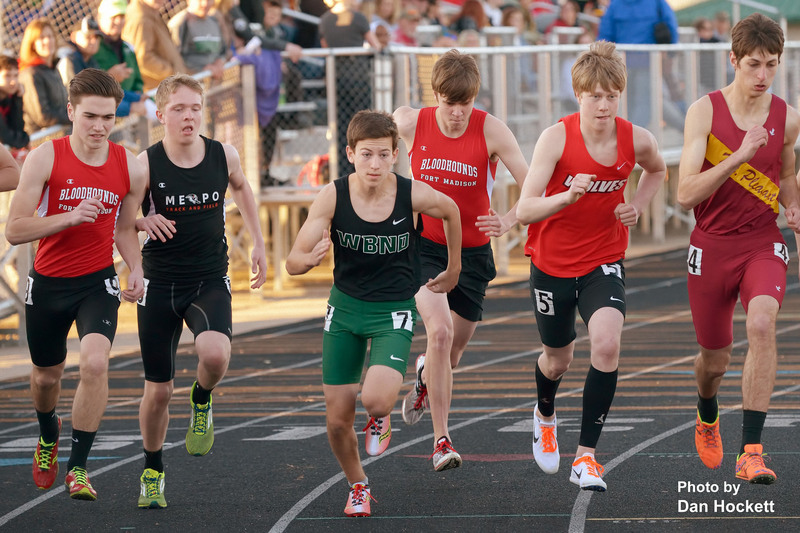 Dupuis (7) starts the 1600-meter run at the Falcon Relays in West Burlington Monday. 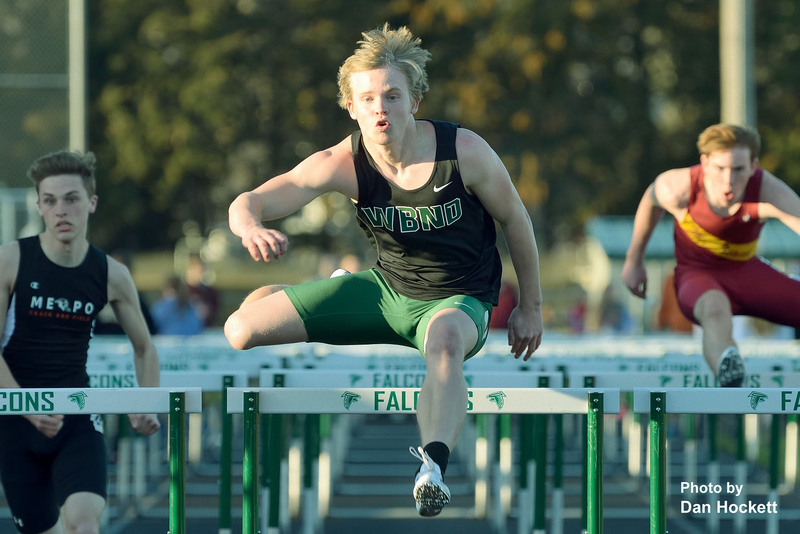 West Burlington – Notre Dame’s Jamar Lewis anchors the 4×110 Shuttle Hurdle Relay at the Falcon Relays in West Burlington Monday. 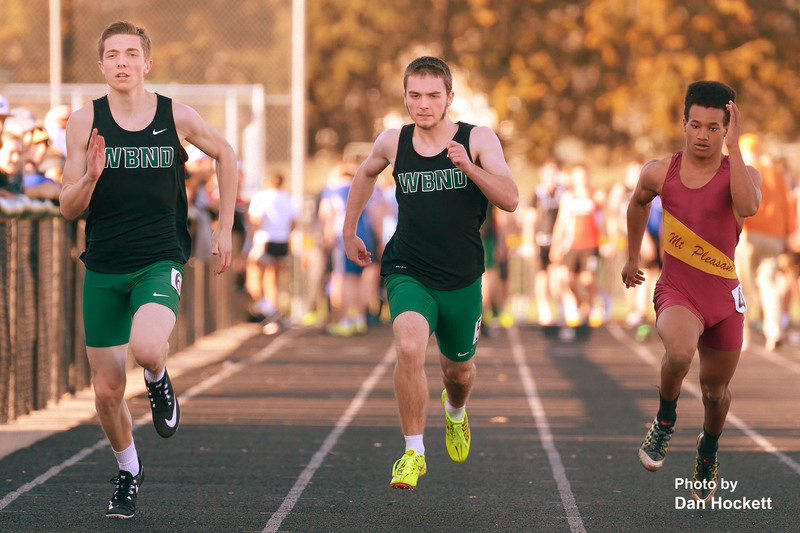 West Burlington – Notre Dame’s Jack Giannettino (left) and Austin Mixer (center) run the 100-meter dash at the Falcon Relays in West Burlington Monday. 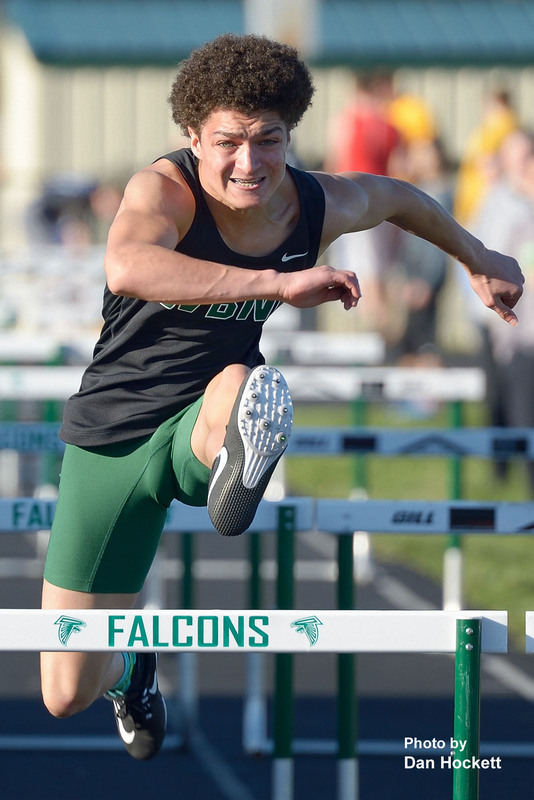 West Burlington – Notre Dame’s Jax Lamm runs the 110-meter hurdles at the Falcon Relays in West Burlington Monday.